About five crore people worldwide have dementia, and there are nearly one crore new cases every year. Alzheimer's disease is the most common form of dementia, and may contribute to 60 to 70 per cent of the cases. More than 40 lakh Indians suffer from some form of dementia; Alzheimer’s affects around 16 lakh. Alarmingly, this number is set to triple by 2050. Among people above 65, the rate of Alzheimer's has gone up tenfold in the past few decades. It is 24-fold among those under 65. But here is an even more disturbing fact. According to a recent study, most people diagnosed with Alzheimer's don't even have it. Instead, they have other problems that were missed, and could have been treated if simply looked for. The study autopsied the brains of 426 Japanese-American men who died at an average age of 87. As many as 211 had been diagnosed with dementia when they were alive, usually Alzheimer's disease. 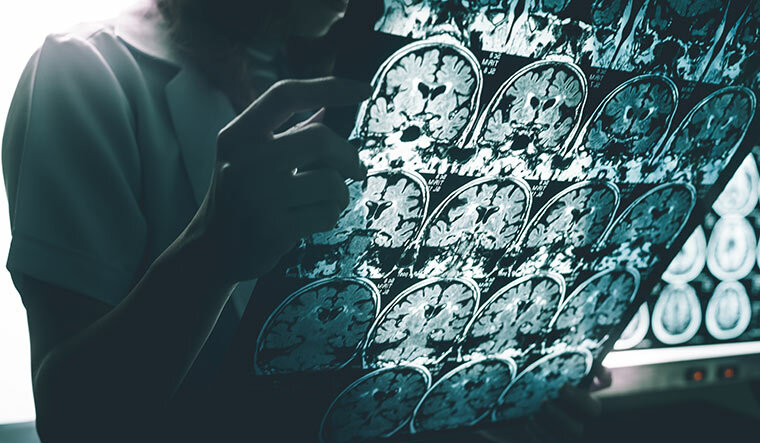 The autopsies revealed that about half of those diagnosed with Alzheimer's disease didn't have toxic clumps (amyloid) and tangles of protein (tau), which are the hallmarks of Alzheimer's disease. 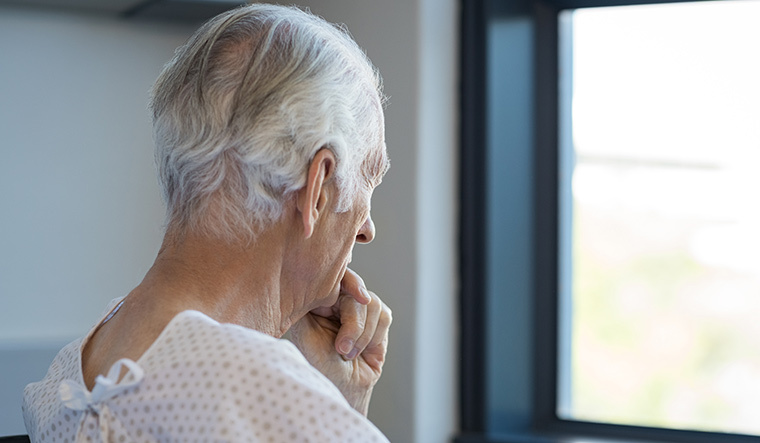 This study was reported at the recent annual meeting of the American Academy of Neurology, and it confirms that many (if not most) people diagnosed with Alzheimer's do not have the disease. Around the turn of the last century, German doctor Alois Alzheimer, who was working in Frankfurt, sent the brain of an elderly patient who suffered from memory loss and delusions to undergo a process only recently perfected—brain staining using silver dye. When the results came back, Alzheimer was stunned. They revealed the woman’s brain was filled with small sticky plaques in between the nerve cells, almost like the neurons had been gummed up. The plaques were made of a protein called beta-amyloid. They block neurons from talking to each other. The protein tau also appears to be involved, forming “tangles” that cut off the transport system that ferries nutrients within brain cells. Both plaques and tangles form first in the areas of the brain important to memory and learning, and then gradually progress to other regions, killing neurons as they go. Patients lose their memory first, and other functions progressively deteriorate. What is neurodegeneration and dementia? Dementia is any acquired brain condition that interferes with the ability to think and to carry out routine daily functions. Dementia can have many different causes, many of which are reversible. Dementia can be caused by a vitamin deficiency, such as low levels of vitamin B12, or it can be a side effect from a drug. It could also be a symptom of depression. Hypothyroidism can cause it. So can head trauma from a fall. Even dehydration can cause dementia. Conditions that can masquerade as Alzheimer’s include under-active thyroid, vitamin deficiencies, too much calcium in the blood, syphilis that has spread to the brain, severe clinical depression, delirium, certain viral or bacterial infections, lead and mercury poisoning, schizophrenia and NPH (normal pressure hydrocephalus). Many of these are treatable, and some are completely curable. Parkinson's disease has long been considered predominantly a motor disorder. However, it is frequently associated with dementia, which contributes significantly to the morbidity and mortality of the condition. Parkinson's disease dementia is caused when deposits of a compound, known as alpha-synuclein, build up in the brain. It is estimated that 50 to 80 per cent of those with Parkinson's disease eventually experience Parkinson's disease dementia. The average time from onset of Parkinson's to developing dementia is about 10 years. Bhavani Mehra was thoroughly confused and sitting in a wheelchair while her husband helplessly looked on, wondering what on earth had happened to her. This formerly vigorous woman had become wheelchair-bound and incontinent. She also showed clear signs of dementia and was diagnosed with probable Alzheimer’s and Parkinson’s. Cerebrospinal fluid is produced in our brains and bathes our skulls with nutrients and cushions our grey matter. It trickles down the spine and is absorbed back into the body in a constant flow. Sometimes, the body produces too much fluid or it doesn't drain the skull adequately, or fails to absorb the fluid properly. The fluid gradually fills up the brain's ventricles, pushing the brain against the skull and stretching nerve endings. That increased pressure in the ventricles can cause all kinds of mental problems. There are no statistics available on how often normal pressure hydrocephalus is missed, but doctors agree that 5 to 10 per cent of dementia diagnosis are actually NPH. FTD or frontotemporal dementia is much less common than Alzheimer’s disease. Patients have FTD when just the tau protein accumulates in the brain. Half the people with FTD have a form of language difficulty called Progressive Aphasia, as the language parts of the brain are in the frontal and temporal area. According to Grossman, the most important initial test is a clinical examination by an expert in the area, such as a neurologist. Once a clinical evaluation has been performed, the next step will be getting an MRI scan. There could be a tumour in the brain, or there could be inflammation that is gradually slowing down functioning of the part of the brain, or there could be an infection that is compromising brain functioning. So, an MRI scan will help rule out all of these various conditions that can mimic a neurodegenerative condition. There are also some systemic conditions that can mimic dementia, but there are some blood tests that make sure that does not happen. The next step involves speciality centres, which have the infrastructure, equipment, expertise and support to study and understand the nuances of the patients' difficulties, and which can provide targeted therapies for the same. Tests that are routinely administered can include a lumbar puncture to analyse cerebrospinal fluid for accumulated proteins, various blood tests and PET scans. Most of these are disease-modifying treatments. “I think another sort of diagnostic tool we have is that we follow patients over time and measure whether or not they’re showing any evidence of progression in their condition. Sometimes we don’t have a definitive answer the first time we see a patient, but the evolution can help us,” says Dr David Wolk, associate director, Penn Memory Center. Priya V. Menon is scientific media editor at TrialX/Applied Informatics Inc. She manages and hosts CureTalks, an international online radio talk show on cancer research and health care.